This is a New York immigrant story cooked into Grandma Surinder Sahni’s mouthwatering mattar paneer (vegetable curry with homemade Indian cheese). Find out how an Indian Sikh family and an Orthodox Jewish family came together in a surprising intersection of their religions in Kew Gardens, Queens. 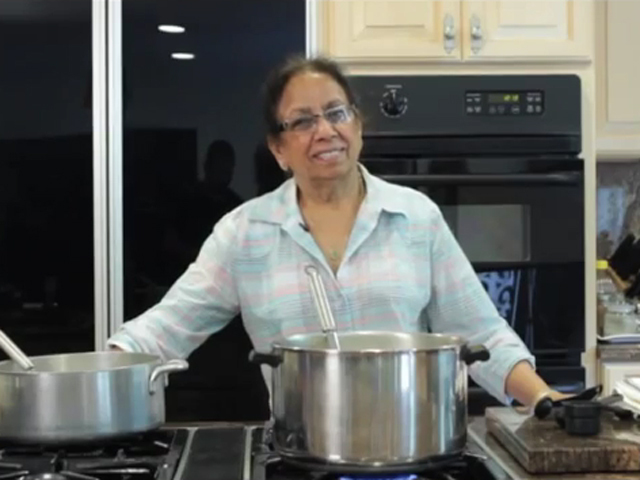 And learn how to make mattar paneer from scratch straight from a Granny master chef.